Wild About Movies brings you the complete list of 2019 Movies in theaters, as well as all 2017 Movies and all 2018 Movies that were in theaters. We also provide you with information about every movie coming to theaters through 2021; 2020 Movies and 2021 Movies. 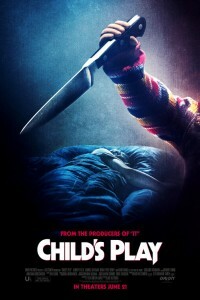 Among the many probably box office hits coming to theaters in 2019: Child's Play 2019, Toy Story 4, The Secret Life of Pets 2, The Lion King 2019, Aladdin 2019, It Chapter 2, Top Gun 2020, Cats and The Avengers 4. Also, check out Tim Nasson's Top 10 Movies of 2018. Are celebrity interviews your thing? In our Interviews section you'll see our Paul Walker interview, by Tim Nasson and hundreds of additional celebrity interviews from 1996 to today, including our interview with Glenn Close. While Avengers: Infinity War was the highest grossing movie worldwide in 2018, can the final Avengers film, Avengers: Endgame, end up as the biggest movie at the 2019 box office? It will have to compete with Star Wars: Episode 9, the final film in the Star Wars saga. Our money is on Star Wars: Episode 9 being the #1 film at the U.S. movie box office, and Avengers: Endgame taking the prize as most popular movie worldwide. 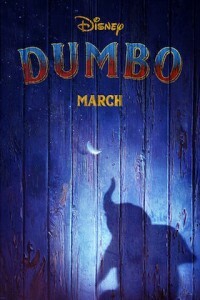 Unlike the live action remake of Beauty and the Beast from Disney in 2017, which followed the animated version faithfully, while the animated Dumbo and live action Dumbo have a lot in common, there is also a lot missing in the updated version, including the crows and their famous song "When I See An Elephant Fly." And while Dumbo doesn't get drunk and hallucinate in this live action version, director Tim Burton effortlessly includes a scene where bubbles turn into flying elephants, albeit with the help of the song "Pink Elephants on Parade." Game of Thrones Season 8 trailer is here. The two-minute video begins with Arya Stark, terrified and running in the dark, saying in a voiceover, “I know death, he’s got many faces. I look forward to seeing this one.” The trailer then guides us through what we can expect when Season 8 arrives next month — without giving too much away — including many teases of the Battle of Winterfell, which is supposed to be the longest battle sequence in cinematic history (big and small screen). 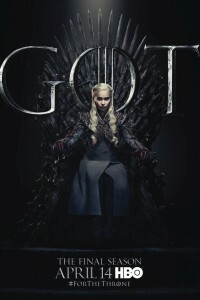 Almost everyone makes it into at least one shot in the trailer, including Arya, Daenerys Targaryen, Jon Snow, Cersei Lannister, Jaime Lannister, Tyrion Lannister, Sansa Stark, Bran Stark, Brienne of Tarth, Davos Seaworth, Jorah Mormont, Greyworm, Missandei, Samwell Tarly, Podrick Payne, Varys and The Hound. Luke Perry, who broke out as a bad boy in the 1990s Fox teen drama “Beverly Hills, 90210,” has died following a stroke last week. He was 52. The actor, was hospitalized last Wednesday morning after paramedics responded to a call that someone at his home in Sherman Oaks, Calif., was suffering a stroke. 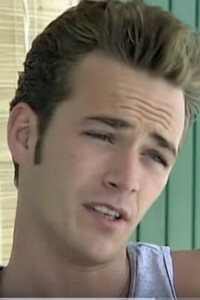 Perry is best known for playing the brooding Dylan McKay on Fox’s ’90s teen drama “Beverly Hills, 90210” from 1990 to 1995 and again from 1998 to 2000. On the big screen, Perry appeared in films like the original “Buffy the Vampire Slayer,” “The Fifth Element,” and “8 Seconds.” He also has a role in Quentin Tarantino’s upcoming “Once Upon a Time in Hollywood,” which is currently in postproduction. The movie Avengers Endgame concludes the recurring Thanos and Infinity Stones story-arc in the Marvel Cinematic Universe. After the devastating events of Avengers: Infinity War (2018), the universe is in ruins. The movie The White Crow, from Sony Pictures Classics, charts Rudolf Nureyev's famed defection from the Soviet Union to the West in 1961, despite KGB efforts to stop him. Inspired by the book Rudolf Nureyev: The Life by Julie Kavanaugh. In the movie Long Shot, Fred Flarsky (Seth Rogen) is a gifted and free-spirited journalist with an affinity for trouble. Charlotte Field (Charlize Theron) is one of the most influential women in the world. 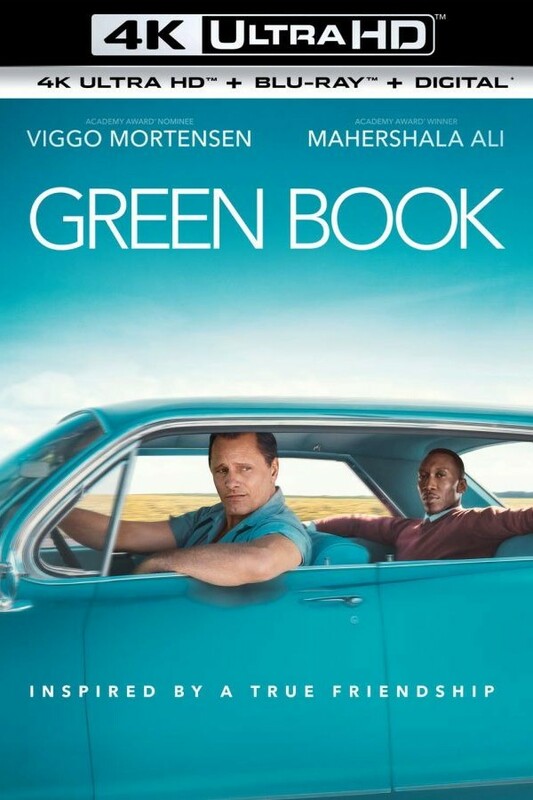 CLICK HERE FOR A CHANCE TO WIN PRIZES FROM Green Book DVD Giveaway!